Graham’s Brady Anderson (pictured) hurled a no-hitter against Urbana on Wednesday - walking six and allowing two runs while striking out 12. Urbana’s Gracie Hower (pictured) smacks a ball into play on Wednesday against Graham. Graham defeated Urbana, 6-2, in CBC/MRD baseball on Wednesday. Brady Anderson took the mound for the Falcons, pitching a complete-game no-hitter with 12 strikeouts and 6 walks. For the Falcons, Josh Lewis was 2 for 4 with a double and 2 RBI, Caleb Horner 2 for 4 with a double and 2 RBI and Josh Dooley was 1 for 3 with a double and an RBI. Gabe Spiers and Austin Rooney each picked up an RBI for Urbana. UHS (1-8) plays at Greeneview today while Graham (7-2-1) travels to London. Graham defeated Urbana, 17-5, in CBC/MRD softball on Wednesday. For Graham, Sara Masters was 2 for 4 with 2 RBI, Lindsay Brayton was 3 for 5 with 3 RBI, Alyssa Theodor was 2 for 4 with a double and 2 RBI, Morgan Pine was 3 for 5 with 3 RBI and Lexi Mullen was 3 for 5 with 3 RBI. Pine got the win, allowing three hits over 3.3 innings of work. 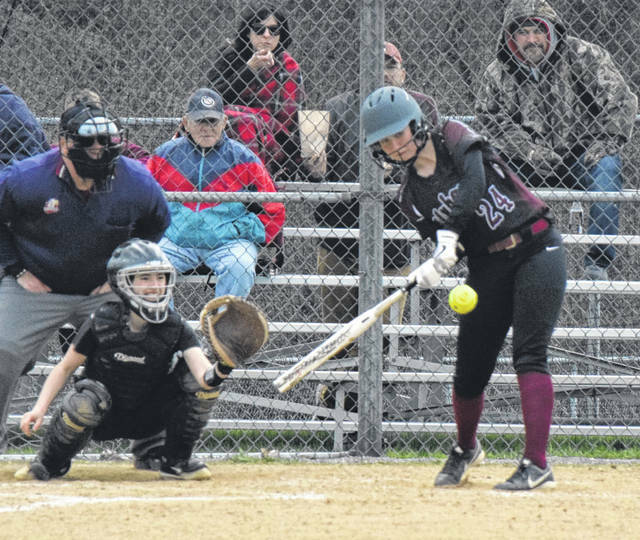 For the Hillclimbers, Maleah Murphy was 1 for 4 with an RBI and a run scored, Marah Donohoe was 1 for 3 with two runs scored, Emily Skelley was 1 for 4 with a double and an RBI and Cady Perry was 1 for 3 with a run scored. “They hit, but our defense was able to make the plays,” GHS Coach Ralph Foster said. On Friday, Graham (6-5) plays at London while Urbana (1-8) plays at Shawnee. 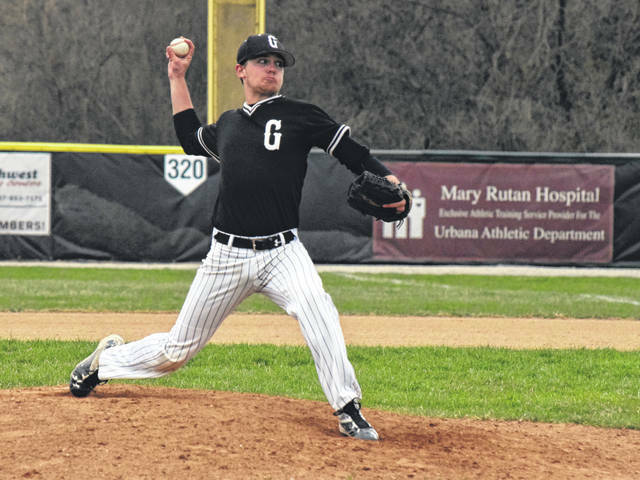 Graham’s Brady Anderson (pictured) hurled a no-hitter against Urbana on Wednesday – walking six and allowing two runs while striking out 12.
https://www.urbanacitizen.com/wp-content/uploads/sites/36/2019/04/web1_BradyAnderson041019.jpgGraham’s Brady Anderson (pictured) hurled a no-hitter against Urbana on Wednesday – walking six and allowing two runs while striking out 12.
https://www.urbanacitizen.com/wp-content/uploads/sites/36/2019/04/web1_GracieHower041019.jpgUrbana’s Gracie Hower (pictured) smacks a ball into play on Wednesday against Graham.